Who By Fire is the story of a farm family with a dangerous gas plant on its door-step. Ella Ryder has never known another home. Her three children are growing up in the same house as she was born in. Suddenly, that is a very dangerous place to be. From the award-winning, bestselling author of The Trade, Lightning and The Great Karoo, comes a powerful, passionate novel about two generations of a family caught in the path of progress. It’s 1960 and Aladdin Oil and Gas breaks ground for a sour gas processing plant in southern Alberta. The plant malfunctions with immediate impact on the farmers living nearby. The escaping gas is not just sickening; it has the power to kill. Fences and farm equipment corrode; animals die. When the farmers complain to government, they find they are not believed. The town that used to rely on their custom is now flush with oil money and calls them hysterics, potential killers of the golden goose. The Ryder family farm is less than a kilometer downwind of the plant. On bad days, toxic hydrogen sulphide rolls down the slope to their home. As a farmer and father, Tom Ryder steadily loses faith in himself and his ability to protect his family. He wants to battle the company even as he fears that the value he and Ella have built in their lifetime will be lost. At worst, both Tom and Ella fear their children could die. 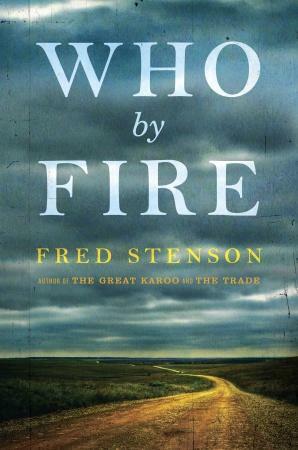 Who by Fire moves from the 1960s into the present day, where the Ryder children are middle aged survivors, still trying to make sense of their journey. Bill, the only son, went to work in the oil industry long ago. Now, near the end of his career, he manages a unit in an oil sands upgrader north of Ft. McMurray. He juggles work and bad habits, and avoids the tough questions, until a local Native woman makes the plates fall. Life-long issues of loyalty rise up and he is forced again to choose. 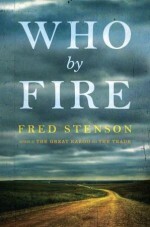 Who by Fire is a novel of rare emotional depth and profound resonance. With unflinching truthfulness and precise detail, Fred Stenson portrays the crunching impacts between people and industry, of lives left twisting in the winds of change.